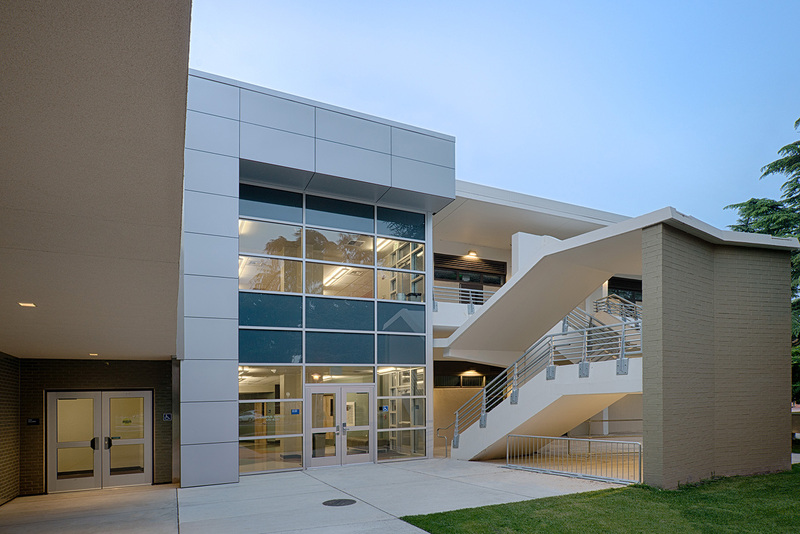 The $10 million design changes the mission of the building from science to a high technology center to support instruction of computer technology, including labs and enhanced classrooms. 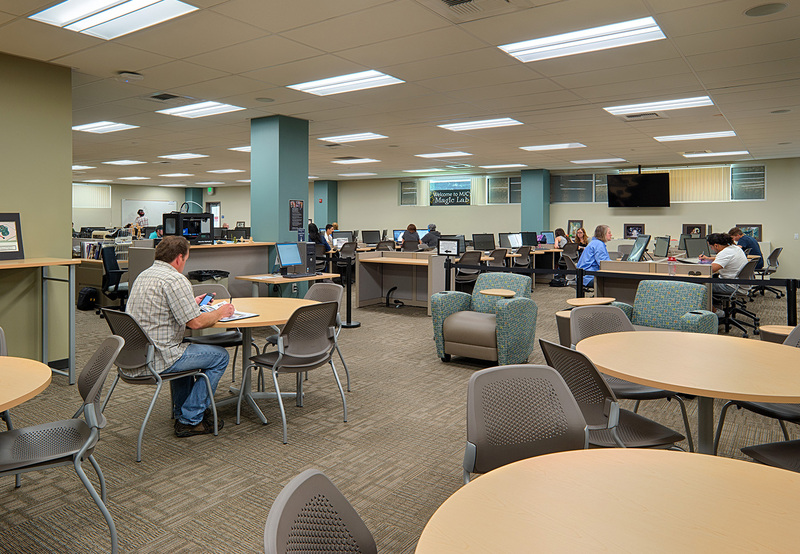 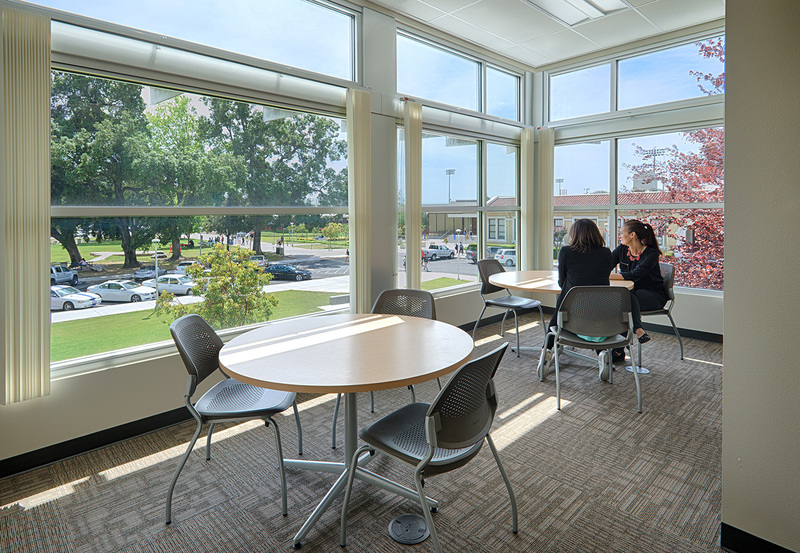 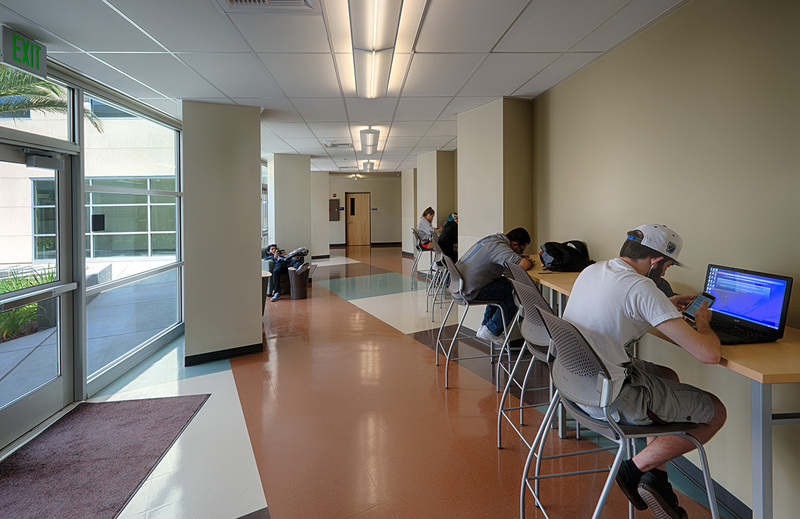 It also allows these programs to present state-of-the-art instruction and be flexible for the future needs and provides additional space for student study areas and faculty offices. 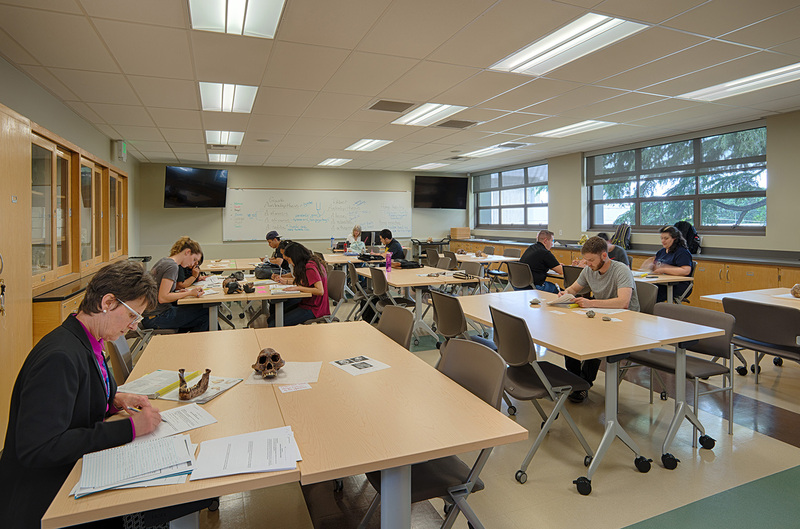 Lecture space was provided for Business, Behavioral and Social Science courses that were being taught elsewhere on campus. 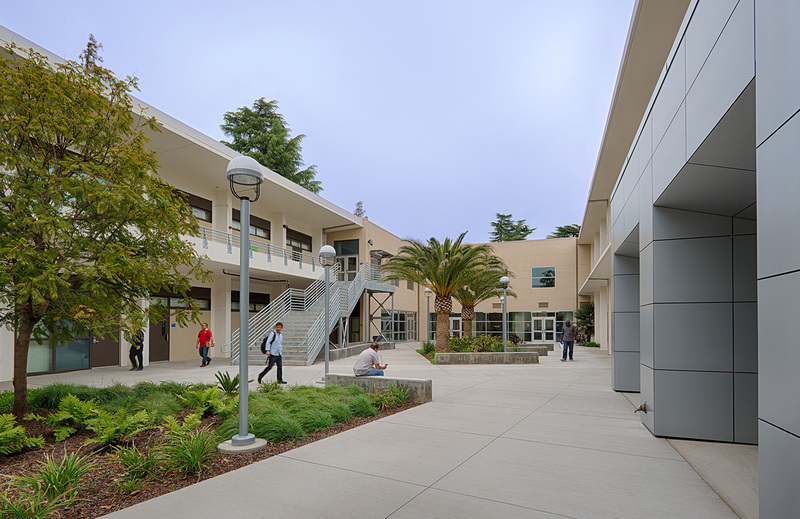 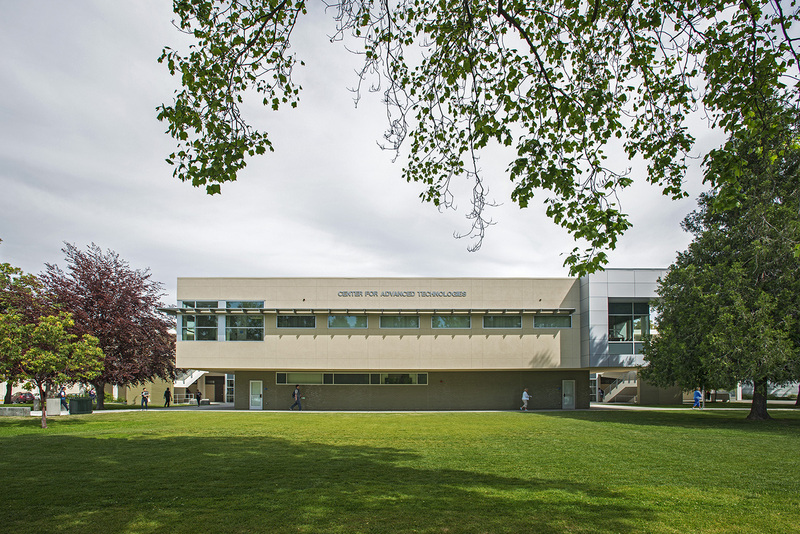 In addition to the high-tech interior remodel, the exterior remodel of the dated 1990’s addition gives the entire building a new, high-tech face to the building on the main plaza of campus. 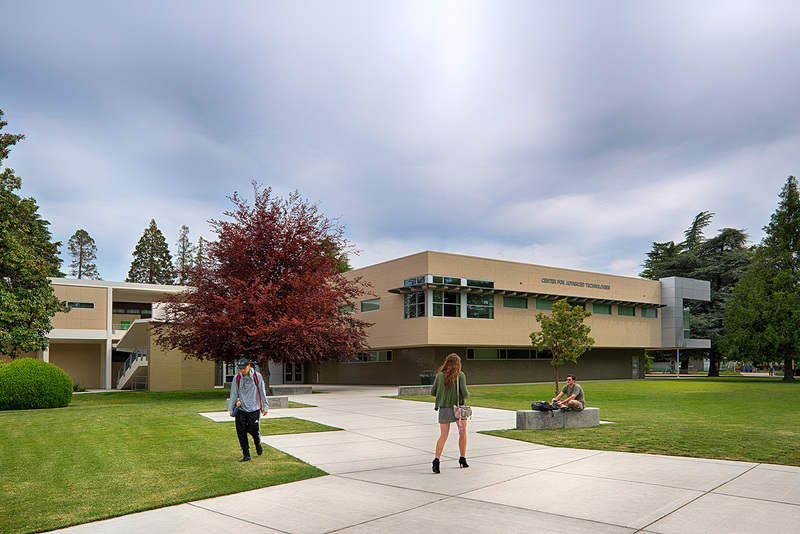 This exterior remodel changed way the building was accessed from the campus and improved by a collection of “additions and subtractions” from the original building and a “re-skin” of the main addition. 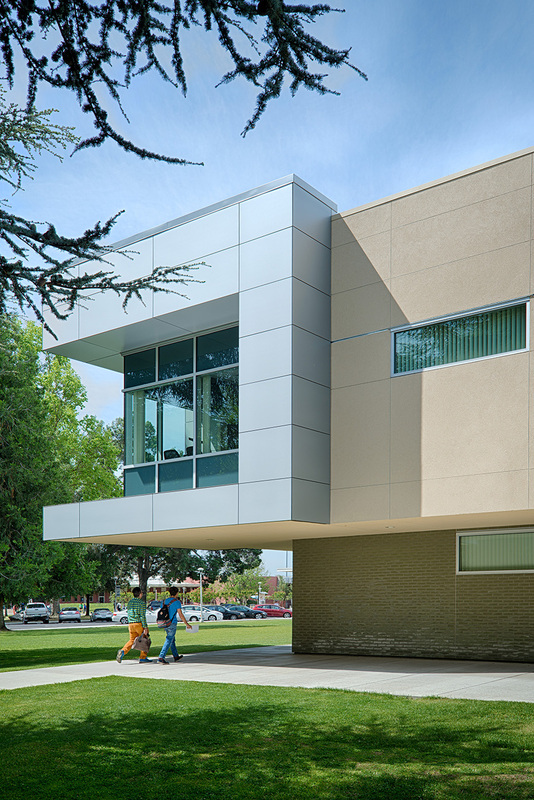 The result is a new, modern building that expresses 21st century technology while respecting the mid-century modern building at its core.